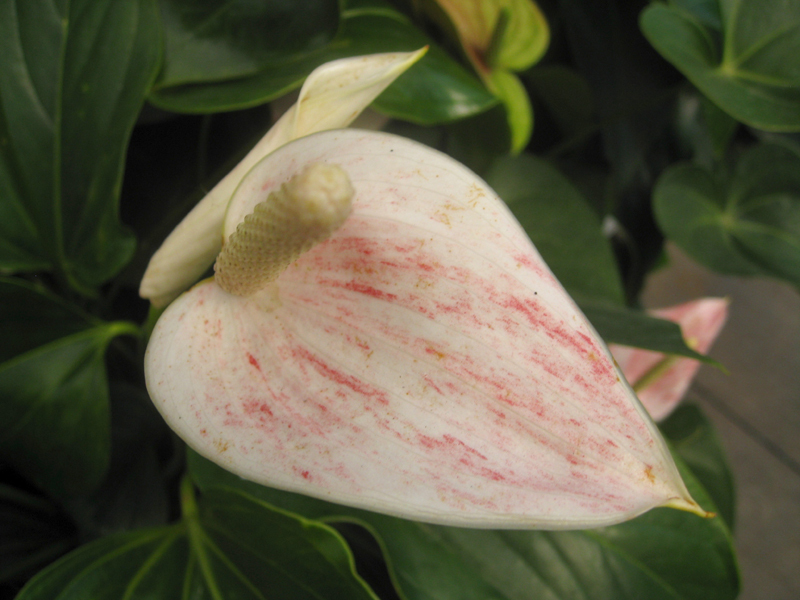 Comments: Anthurium are relatively easy to grow, have beautiful foliage and produce long lasting flowers year round. They can be grown indoors where they need as much light as they can get, but not direcrt sunlight. They are not too fussy about water, but need to be throughly wet and allowed to dry slightly between waterings. They are happy at the same temperature as humans. Outdoors, where freezes do not occur, they light high light, but not hot, direct sun.